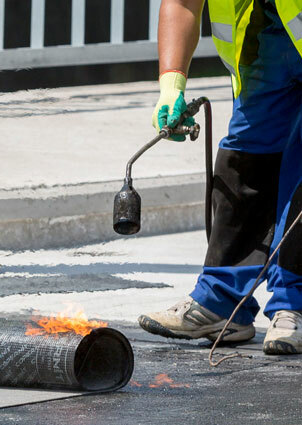 Name: The name shall be Waterproofing Association Gauteng hereinafter referred to as “The Association” or “WAG”. To promote, support, protect and to further the interest of all members. To promote and support, previously disadvantaged groups, to provide training and assistance for their upliftment and further empowerment. To represent the interests of Contracting Members in collaboration with MBSA and any other Legislative governing bodies concerning industry related matters. To represent the Members in their individual and collective capacities. To represent the interests of Members in relation to Conditions of Contract with Government Departments, Local Authorities, Professional Societies and the like in order to obtain fair and equitable treatment. To confer with and, as thought fit, to collaborate with any Association or Federation or any other body having the interests of Contractors in the Building Trade as their objective, and /or to enter into membership of such Association or Federation. To regulate and to maintain the highest standard of workmanship and materials; to encourage, assist and extend the spreading of knowledge and information concerning the industry. To establish standards of good application practices and product specifications. To further the specification of flat roof structures as a preferred building method by the promotion of professional and ethical practises by members. Alteration: No alteration of or addition to the Constitution or Rules shall be made except at a Special General Meeting or Annual General Meeting, the notice for the calling of which shall give the nature of the proposed alteration or addition. A proposal by a Member of any such alteration or addition shall be submitted in writing to the Management Committee. Any alteration or addition to the constitution must be approved by at least two thirds of the members present at that meeting and entitled to vote. 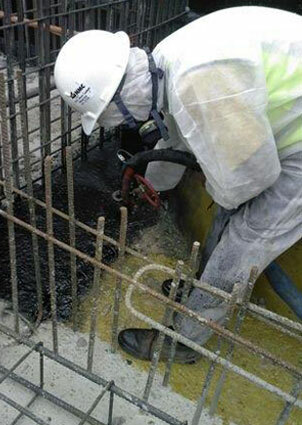 Membership of WAG shall be confined to persons, firms and companies engaged in the manufacture, supply or application of waterproofing material. Members shall conform to the established Rules the ‘Association’ may adopt by Resolution at General or Special meetings. Associate membership, by invitation of the Management Committee can be granted to technical or professional organisations concerned with waterproofing and such membership will not be subject to annual subscriptions or other assessments. Such associate membership will not entitle the holder to a vote and is renewable annually. Manufacturing companies applying for membership must have been in operation and registered for a minimum period of three years. Any person who the Management Committee deem fit may be appointed a Honorary Life Member. Such member will receive the same benefits, rights and status as that of an ordinary member. 2. APPLICATION FOR MEMBERSHIP AND ELECTION OF MEMBERS. Any person, firm or company desiring to become a Member shall make application on a form to be provided by the Association stating the Section of membership applied for (i.e full membership or associate Membership) containing a declaration agreeing to be bound by the Constitution and Rules for the time being of the Association. Any person, firm or company applying for membership to the Association shall satisfy the Management Committee of their bona fides, qualifications, experience and good standing before such application shall be approved. Every application for membership shall be submitted to the Management Committee which shall proceed to the election or rejection of the proposed member. The Management Committee shall not be required to give any reason for any decision it may take in this regard. When an application for membership receives less than two thirds majority vote of approval in the Management Committee such application may serve a probationary period, maximum period being twelve months, at the end of which a further vote will be taken. During such probationary period, the applicant will not be subject to payment of any fees and will not be entitled to any promotional support of ‘The Association’. Quality: Work Standards will be subject to investigation by Committee members on a minimum of three jobs. Further inspection can be made prior to membership being granted. Financial: Proof of good standing must be made available to the satisfaction of the Committee. Ethics: i. All applications shall provide proof of good standing and such proof be made to the satisfaction of the committee. ii. All applicants shall sign and accept the rules of conduct and ethics that shall form an addendum to the constitution. 3. CHANGE OF CONTROL OF COMPANY. The Management Committee must be notified of any such change within 60 days and membership will be subject to re-evaluation. Members Notice: Members may resign from the ‘Association’ by giving to the secretary not less than ONE month notice in writing, which notice may given at any time. Notice of resignation shall be accompanied by all monies due to the ‘Association’ to the end of the current financial year. Upon resignation a member shall not have any claim against funds or assets of the Association. Fails to pay to the Association the annual subscription due within the period fixed by the Management Committee. Fails to comply with any resolution of the Association. Commits an act of insolvency. Fails to comply with the Constitution and Rules of the Association. Expulsion will be applicable if two thirds of the Management Committee vote for same. Any member expelled from the Association may not from the date of expulsion utilize the Association logo or any promotional material. Finance: (a) Funds shall be raised by annual subscriptions or by any other method which the Management Committee may recommend subject to ratification in General Meeting. Subscriptions: (b) Subscription fees and any other charges will be set at each Annual General Meeting and be approved by at least two thirds of all members present at at the meeting. Budget of Expenditure: The Association’s financial year shall run from the 1st day of July to the last day of June each year. Income & Property: c) All the income and property of the Association shall be applied solely towards promotion of its objects and no portion thereof shall be paid to or transferred directly or indirectly to any member or members, provided that nothing herein contained shall prohibit the payment of bona-fide remuneration to any servant of the Association or to any member in consideration of any services actually rendered to the Association. Providing such is agreed by two thirds majority of the Management Committee. Election of Chairman: (a) The business of the Association shall be conducted by a Management Committee which shall exercise the powers and authorities of the Association delegated to it in General meetings. (c) The Association shall appoint at each Annual General Meeting a Management Committee from among its members or their representatives of firms or companies. The number of members of the Management Committee (excluding the ex-officio member) shall not be less than four, Nor more than seven, not more than one representative of a member (other than ex-officio member) shall serve as a member of the committee at any one time. Four members present shall constitute a quorum. The immediate Past Chairman of the Association shall be an ex-officio member of the Management Committee for the same period of time as his successor. Sub-Committee: (d) The Management Committee shall be composed of selectees from themembership at large and shall have power to appoint Sub-Committees to consider and report on specific subjects and such Sub-Committees shall have power to co-opt. The Management Committee may appoint a secretary and other salaried officials and staff on such terms of engagement and remuneration as may be appropriate. Such appointments shall be subject to ratification by the Management Committee. Treasurer: (e) The Management Committee shall keep true to proper accounts of the finances and properties of the Association and for this purpose the Management Committee shall appoint a Treasurer. The office of Secretary and Treasurer may be held by the same person if thought expedient. (g) The Chairman or, in his absence, the Vice Chairman, shall take the chair at General meetings and Management Committee meetings. In the absence of the Chairman the Vice Chairman, those present, by show of hands, shall elect one of their number to act as Chairman of that particular meeting. Secretary: (h) The Secretary shall keep the minutes of all meetings of the Management Committee and shall conduct correspondence and the affairs of the Association under the direction of the Management Committee. Minutes of meetings of a Sub-Committee shall be submitted to the Management Committee. Minutes of meetings of the Management Committee shall be issued to all Members of the Committee within 14 Days of the meeting. Annual General Meetings: (a) The business to be transacted at an Annual General Meeting shall be to receive the report of the Management Committee; to consider the financial statement and reports of the Association; to elect the Management Committee and to transact any such other business which may properly be transacted at an Annual General Meeting. The Chairman and Vice Chairman shall hold office until next Annual General Meeting. Special General Meetings: (b) Special General Meetings may be called by the Chairman or by the Management Committee at any time. Special General Meetings may also be called by not less than 3 members of the Association; in this case the requisition shall be sent to the Secretary in writing and it shall then be the duty of the Management Committee to give notice of a Special General Meeting within 21 days of receipt of the requisition for a date not less than 30 days thereafter. Notice To Be Given of Meetings: (c) Notice of all General Meetings shall be posted or sent out by means of e- mail to members and shall include an Agenda of the business to be transacted at those meetings. The period of notice shall be as follows:- Annual General Meetings- 21 days, Special General Meeting- 30 days. Notice of all Management Committee meetings shall be sent to all Management Committee members. The period of notice shall be 14 days. Minutes: (d) All minutes of General meetings of the Association shall be entered in a Minute book and signed by the Chairman at the subsequent meeting and shall be circulated to members. All resolutions passed at a General Meeting so signed shall be binding on all members of the Association. (e) All members of the Association shall receive the notices, agenda and minutes of General, Special General and Annual General Meetings. Voting: (f) At all General Meetings a Resolution put to the vote of the meeting shall be decided by members present and entitled to vote, on show of hands and will constitute the total vote. In the case of an equality of votes, the Chairman of the meeting shall be entitled to a further casting vote. (g) One quarter of the total number of members entitled to vote at a General Meeting represented in person for the time being shall constitute a quorum. If within half-an-hour after the time appointed for the meeting a quorum is not present, the meeting shall stand adjourned to a date and a time to be decided by those present; such date and time not to be less than 14 days later; due notice of which shall be sent to all members. If at such adjourned meeting a quorum be not present, those members who are present in person will constitute a quorum and may proceed to transact the business for which the meeting was cancelled. Regional Branches shall be established if and where required. 10. POWER OF THE MANAGEMENT COMMITTEE TO ENTER INTO LEGAL ARRANGEMENTS. The Management Committee of the Association shall have power from time to time to authorise the Chairman, Vice Chairman and Secretary or Treasurer on its behalf to enter into legal arrangements on such conditions as it may think fit. The Meetings of the Management Committee will take place at least once every 6 to 8 weeks. General Meetings will take place every 3 months or by request. 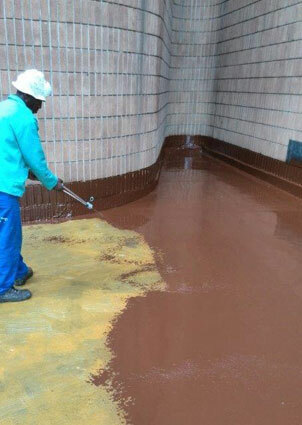 This ADDENDUM forms part of the constitution of the Waterproofing Association Gauteng. Criticising or bad mouthing fellow members. Conducting tours of fellow members failed contracts. Photographing defects of fellow members contracts. Deliberately soliciting staff from fellow members. 2. 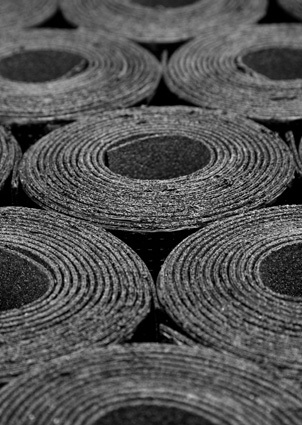 All members agree to carry out any contract to their utmost ability according to the best practise methods in terms of manufacturers specifications. 3. To abide by any guarantees due to their clients. 4. 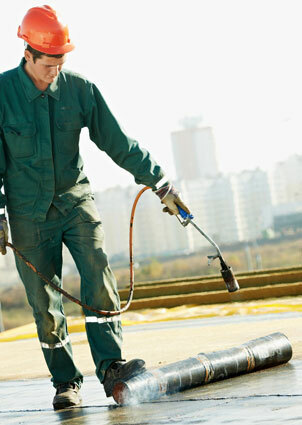 To rectify defective workmanship within a reasonable period of time. 5. To respond promptly to any complaints against them. 6. To promote the aims and ideals of the Association. 7. By the members actions, never to bring the Association or its members into disrepute. RULES OF CONDUCT AT ASSOCIATION MEETINGS. Personal attacks against fellow members at meetings is forbidden. Criticism or complaints against fellow members workmanship, selling methods or business methods may not be aired. Confrontation between members on any matter outside the agenda is not permitted. Members may not use Association meetings as a forum to vent their frustrations against fellow members. Members agree to act in a mature manner and maintain a standard of decorum during Association meetings. Any breech of these rules will result in the removal of the member from the meeting. 1) Report his complaint to the Chairman or, in his absence, any member of the committee. 2) Such complaint shall be in writing and contain comprehensive details of the complaint. 3) The Chairman or committee member shall call a meeting of the Disciplinary Committee, the complainant and the accused member at which time a full enquiry shall be convened. Make the finding on the evidence provided. Suspension from the Association for a specific period. Should the accused member dispute the findings of the Disciplinary Committee he may appeal for the case to be heard in front of the full committee of the Association. The findings of the full committee will be deemed final. The Association reserves the right to place advertisements in media advising of the expulsion of a member. However no reasons may be given and the advertisement may only advise the fact of the expulsion.